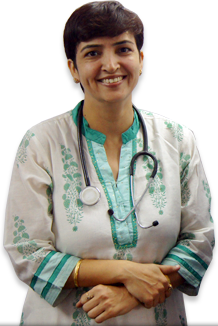 Dr. Manju Singh (B.A.M.S) is well known specialist in Ayurveda. After Completing her degree in 1994, She started practicing as a Doctor and has treated lot of people for obesity, gynecological disorders like Breast Development, Breast Sagging, Leucorrhoea, Menstrual Disorders, Menopausal Symptoms and many more. With her ever flowing behavior and curiousity to learn more, she got her Degree of 'Doctore of Medicine'(M.D), from Colombo University, Open International University for complementary Medicines (O.I.U.C.M) in 2003. Treating patients from last 18 years has specialized her in Obesity and Gynecological Disorders.